Angela Santomero is best known as the Creator and Executive Producer of acclaimed children’s television hits such as Blue’s Clues on Nick Jr., and Super Why! and Daniel Tiger’s Neighborhood on PBS KIDS. She is the Founding Partner and Chief Creative Officer of Out of the Blue Enterprises, LLC, and oversees the creative development and research of all the company’s projects, with a mission and vision to bring educational entertainment to a whole new level. Dr. Carla Mazefsky is a licensed clinical psychologist specialized in autism spectrum disorders (ASD) and an Assistant Professor of Psychiatry at the University of Pittsburgh School of Medicine. Dr. Mazefsky was the 2012 recipient of the Ritvo/Slifka Award for Innovation in Autism Research from the International Society for Autism Research. She is on the editorial board of the Journal of Autism and Developmental Disorders and is a member of the Board of Directors for the Western PA Chapter of Autism Speaks. Brett Spitale is the Executive Director of the Autism Speaks Greater PA Chapter. Autism Speaks is the largest national healthcare nonprofit organization dedicated to funding global biomedical research into the causes, prevention, treatments and a possible cure for autism. Aubrey Shick is the founder and CEO of Origami Robotics, a startup developing Romibo, a friendly social robot for special needs therapy and education. 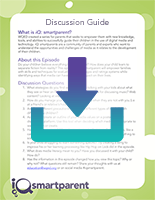 Romibo has shown to be particularly beneficial with children on the autism spectrum. 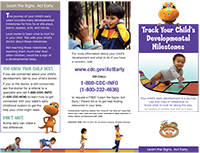 View this resource about tracking your child's developmental milestones.